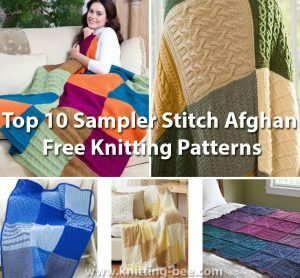 Knitting Bee has compiled the top 10 stitch sampler/ mystery knit-a-long afghans/throws and blankets from the top designers from around the world. 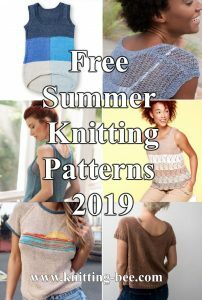 In these patterns you will find a rich resource of free stitches from colorwork to lace to cables and textured knit and purl patterns. 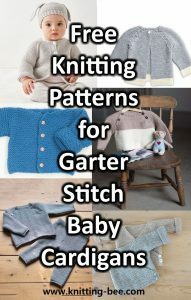 Knit beautiful stitches in squares, sure to keep you busy for a very long time, so much to discover! 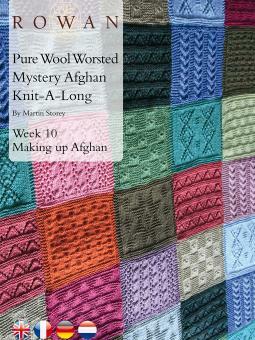 Martin Storey has designed a stunning Afghan taking us through different stitch techniques with 8 different square designs and a simple yet effective trim for the Afghan. 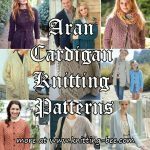 Download all these 8 square patterns and trim pattern for free, along with a making up pattern complete with diagram to show you how to create the final Afghan. 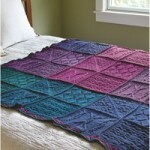 Bernat’s first Mystery Afghan Knit-Along. 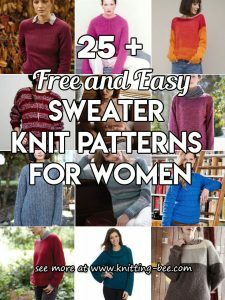 Each clue develops in difficulty to develop and practice your knitting skills. This is a wonderful throw for those who like to learn new stitch patterns with a variety of cabled textures. 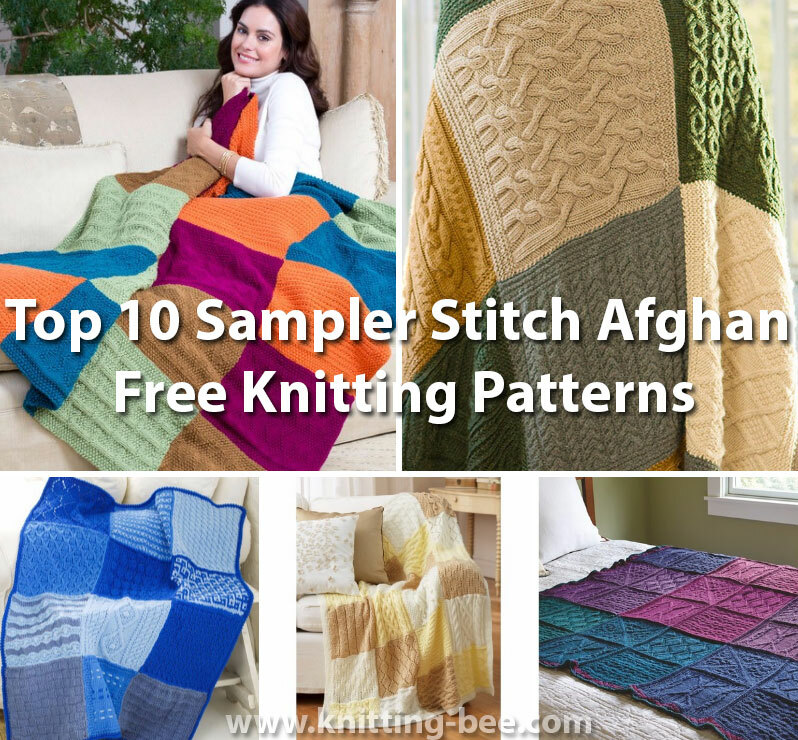 Each of the 10 squares is a knitting adventure! 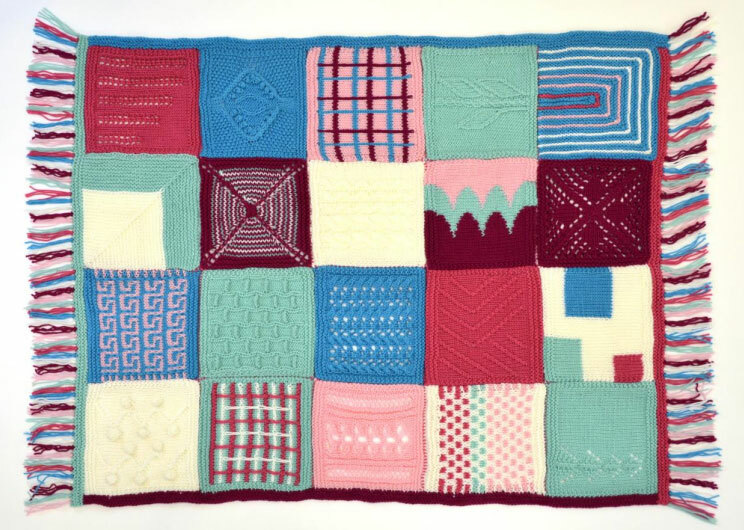 A garter stitched square is placed between the cabled squares in a checkerboard arrangement. 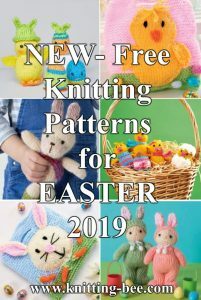 We’ve shown it in all one neutral shade, but of course you can use whatever colours you choose for your own unique design. 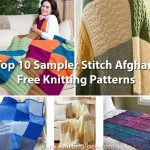 Four gorgeous squares can be knit in 9 colors each to form a unique patchwork blanket. 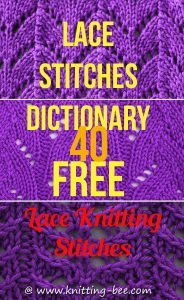 You’ll learn new stitches and techniques, different joins, a simple border treatment to tie it all together, and even learn how to care for a large heirloom project like this. 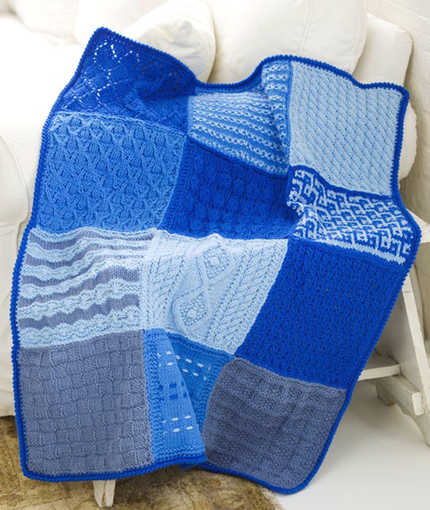 We’ll have photo and video tutorials for the more complicated techniques as well as tips and tricks for making your blanket shine! 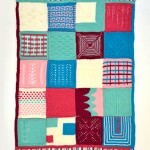 When finished, the squares can be assembled into a 42” X 58” or 50” X 50” blanket. 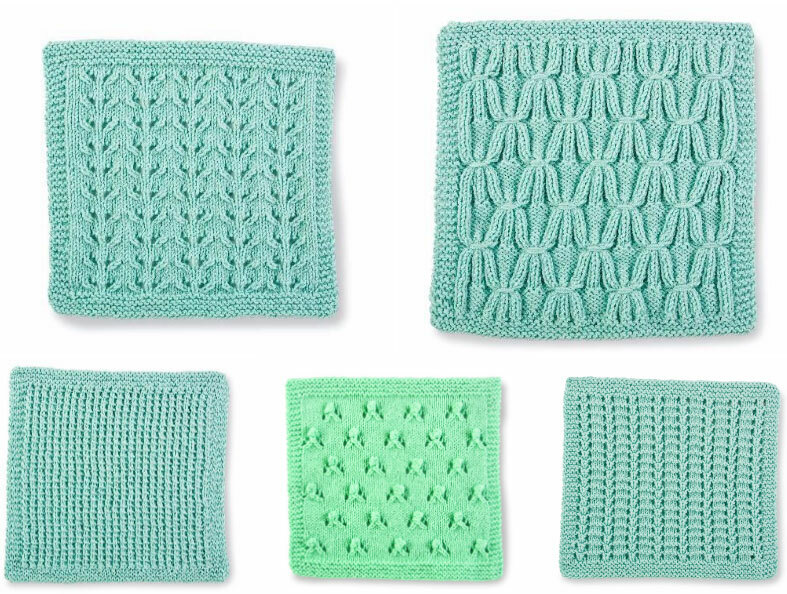 Create these 5 12-inch squares to create a lovely afghan by Creative Knitting Magazine. 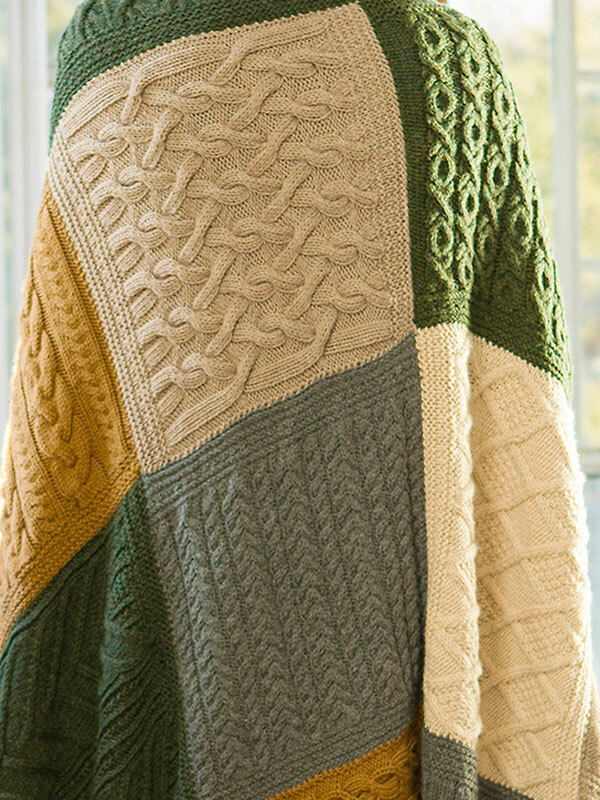 Enjoy some new knitting stitch patterns as you create this cozy throw. 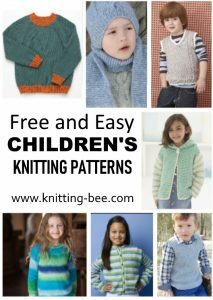 Our 4 blocks are given as a written pattern and are charted. 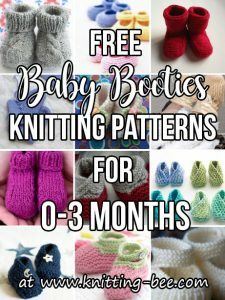 This is a great project to take along on a trip or to have with you when you have waiting time. 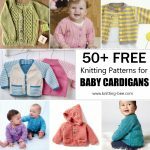 From Redheart featuring 12 stunning textured squares. 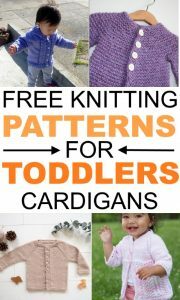 For more stitch ideas check out our Free Knitting Stitches Library!